London offered an in-depth full day of Prokofiev on 8 May. Mine began with working on a review of the DVD of Gergiev's Kirov production of War and Peace and finished with his performances of Symphonies 6 & 7 at The Barbican. The all-day conference at Senate House, University of London, was delightfully varied, with international experts gathered to discuss Prokofiev's unhappy experiences of America. His two major biographers dealt with his music in American Concert Life - conservative and unready for him, "America still in its musical infancy" (David Nice). He met many influential musicians there but was frustrated in achieving a career there, but film projects came to nothing and only posthumously was he "embraced in Hollywood films" (Harlow Robinson). Noelle Mann stressed Peter Dickinson's crucial role in achieving the conference, and the need for a new look and 'total scrutiny' of Prokofiev's American years - Prokofiev had been 'buried with the sins of Stalin' (Lebrecht). She explored an odd episode of his orchestration of a Rimsky song, The Rose Enslaves the Nightingale, performed for us charmingly by Lina Johnsson, one of her Goldsmiths students. Alastair Macaulay, dance critic of Times Literary Supplement, gave us a virtusoso solo 'walk-through' demonstration of father, son and siren in the Balanchine/Prokofiev Prodigal Son, making at least one listener keen to acquire the video/DVD. The meatiest contributions were, for me, by Arnold Whittall and Goldsmiths research student Fiona McKnight. Prof. Whittall's dense survey of American scholarship's contribution to Prokofiev studies, Salzer's 'modified Schenkerism', Minturn's 'wrong note challenges', Zimmerman's belief that Prokofiev's 'transferential modality' may be impervious to analysis. There was mention of the 'pleasures of ambiguity' and the interractions between 'the expected and the surprising' (The meatiest contributions were, for me, by Arnold Whittall and Goldsmiths research student Fiona McKnight. Prof. Whittall's dense survey of American scholarship's contribution to Prokofiev studies, Salzer's 'modified Schenkerism', Minturn's 'wrong note challenges', Zimmerman's belief that Prokofiev's 'transferential modality' may be impervious to analysis. There was mention of the 'pleasures of ambiguity' and the interractions between 'the expected and the surprising' (Kramer) and of Taraskin about Prokofiev's 'practical and accessible' music - necessarily so in the America of the early thirties - and how he was 'muted and reserved'. 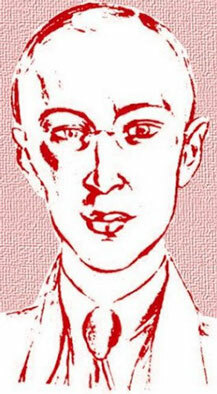 Prokofiev had been 'squeezed out between Stravinsky and Shostakovich'. Fiona McKnight described the obstacles Prokofiev experienced in USA and how he responded to the American public's need for accessability, leading to a 'new simplicity' in his musical language, and how he responded reluctantly to compose 'tuneful, brief pieces - what the public wants' - an 'accessible American detour'. He was pragmatic and able to switch between seemingly unreconcilable styles. She gave an entrancing illustrated talk about how Gershwin played for Prokofiev, and wound up the proceedings with a recital of Prokofiev's early piano pieces written in America and a magisterial account of the monumental 6th Sonata. She was provided with a fine Steinway and the Chancellor's Hall in Senate House is acoustically bright and clear and deserves to be used as a concert venue more often, if the University might allow? A fairly full Barbican responded enthusiastically to the final concert in the LSO/Gergiev Prokofiev series (earlier there had been poor audiences). It was a pleasure to hear the Sixth and Seventh Symphonies together, both undeservedly relative rarities in the concert hall. The juxtaposition of beauties and violent horrors reflected the contradictions and frustrations of Prokofiev's difficult life in which he 'confronts issues of life and death, good and evil, elbow-deep in the fading horrors and forlorn hopes of this world - - At the box office, the LSO's wall-to-wall Prokofiev has been a clanger ; artistically, it's a monumental triumph.' (Andrew Clark). Both Barbara Nissmann and Valery Gergiev ended with the March from the Three Oranges as encores; if you want to know more about the very active ongoing Prokofiev research, try to see the bi-annual publication Three Oranges, produced by the Serge Prokofiev Archive at Goldsmiths, and available on subscription at http://www.sprkfv.net/journal/journalin.html, where you can access freely the contents listing and some selected articles from all back issues. Barbara Nissman's admired recordings of the sonatas, together with the delectable Visions Fugitives and other pieces, have been re-issued by Pierian Recording Society as a boxed set for the 50th anniversary of the composer's death. They are released as Women in Music Volume Three - interesting that this should still be thought necessary in the 21st Century? 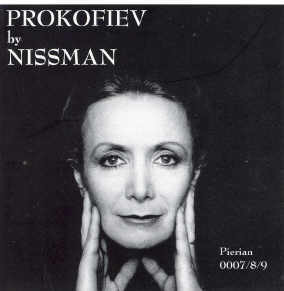 Nissman has all the power required for Prokofiev, but she moderates the brutality in which some pianists revel and perhaps brings a certain femininity to relishing Prokofiev's lyricism, but free of sentimentalism. The sound quality as recorded in the RCA studio 1988 is ideal for home listening and Barbara Nissmann's own extensive notes about the project are illuminating, as are her analyses of each of the nine-plus completed sonatas (two versions of No 5 and a fragment of the incomplete No 10). Unreservedly recommended; I loved them and they sent me back to the scores and to the keyboard to renew the sound and feelings under the fingers of the easier movements! See Great Prokofievans: " - - an all-too-rare combination of stunning technique and unmistakable thoughtfulness. A significant release and a must for anyone with an interest in Russian piano music, 20th century piano music, or just great piano playing." (American Record Guide).